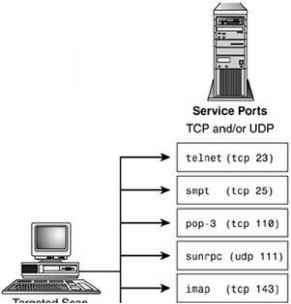 Targeted port scans look for specific vulnerabilities (see Figure 2.7). The newer, more sophisticated tools attempt to identify the hardware, operating system, and software versions. These tools are designed to identify targets that might be prone to a specific vulnerability. Figure 2.7. A targeted port scan.